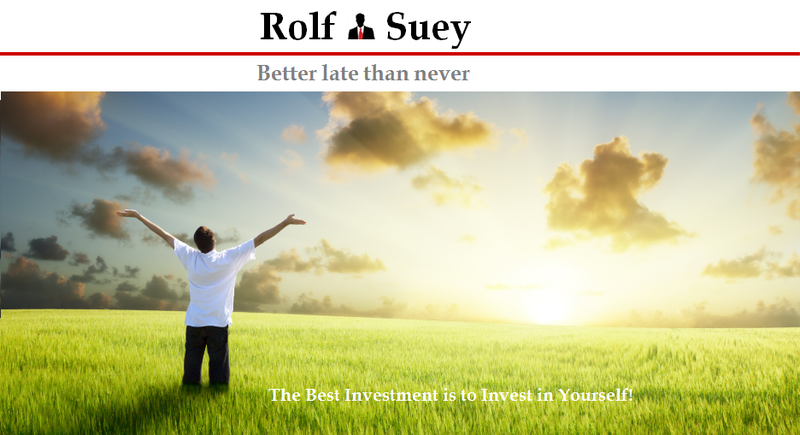 Rolf Suey - Better Late Than Never: Mark Zuckerberg’s 3 Stories - Mission, Care, Look Ahead! Last month, I watched the video of Mark Zuckerberg’s 20-minute speech at Tsinghua University. Similar to Steve Job’s Standford University speech ten year ago, there are also three stories. The difference is Mark Zuckerberg gave his speech in Mandarin. That probably also exudes Zuckerberg’s respect for most of his Chinese audience and his belief in China’s future. Subsequently, I asked my daughter to watch the video and write a summary on it also. Because I think it is so important myself, I am going to summarize it and keep it here in my blog library as well. Not “how” but “why” you should build! Do something you think it is really important, and forget about the how. When you have a mission, it helps you to focus. People are the most important thing in our lives, that is why focus on people. If you know your mission, you do not need to know the whole plan to go forward, you just need to care more. You will meet with many problems, others will doubt you, but don’t give up. Care more, keep working hard and you can change the world. It does not matter if you do not know how to solve the problem, most important is to know that the mission is so important and continue to look ahead. Learning is the key to innovation and with each step forward, you can do new things. If you can help people around you, then in the future we will benefit from it also. Ask yourself why you are doing. Believe in your mission. Solve important problems. Care deeply about them. Don’t give up. And always look ahead. Make life better for people around you. Great summary. For Mark Zuckerberg (German and means 'Sugar Mountain') it looks like it is all about the mission. I agree. The 'why' is always more important than the 'how'. When we have that written down mission supported by goals, we give our brain something to look for and focus on. And the subconscious mind can work on those goals even 24/7. That's magic. As William James said "The great use of a life is to spend it for something that outlasts it." Thanks for the msg. Me reporting from the cold n rainy Europe now, agrees with what u say. I heard about Sugar loft in Brazil but not sugar mountain in Germany until now. Mission supported by goals then Magic. Thanks for the reminder. Yes, agree. Hope ur mission will be completed in no time regardless of how "impossible" it is, or as "cold water downpour" by others. Your child so obedient following your instruction. Must learn parenting from you. I know and agree with what you mean about the "how" as upkeep. This is precisely why it all should be started really early to understand the "why" really early and then you can pick up the "how" along the way in adulthood. The difficult part for me now is to find a mission that I can believe in. What's yours anyway? Similar to what I explained to FD above, if u start early, keep exposing urself, keep searching, keep learning, do not give up, eventually u will find ur own mission. For me, I still need time to be 100% certain on my mission, since I do not like to jump into conclusion too early. However as of now, my mission is to be very learned so that my teachings can be transferred to my kids n hopefully one day to others as well. I read a story and its give us great ideas for complete my study mission thanks for sharing research proposal writing .